We want to be your one stop for vehicle graphics, from company trucks to race cars, hat and shirt design and application, interior wall decorations, logo design and anything else to do with graphics. Do you need parts for your dirt late model, modified, or street stock? KARSBELL GRAFIX is a dealer for Swift Springs and Dominator Race Products. We have access to just about anything you need to get your car around the track faster. 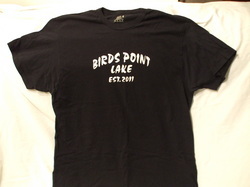 Look at the store for our 2011 Birds Point Lake, Bayouville Boat Club, and Eagles Nest Resort shirts and hats for sale. These items are to "commemorate" the US Corps of Engineers blowing the Birds Point - New Madrid levee to relieve historic pressure on the Mississippi River. Hope you find something you need.